When it comes to announcing the gender of a new baby, Americans have seen everything from pink and blue cakes to balloons to explosions – well, almost everything! Joining in the fray, we are thrilled for the addition of an exciting new catering package to our robust lineup of mouthwatering menu items: the world’s first-ever Gender Reveal Lasagna! 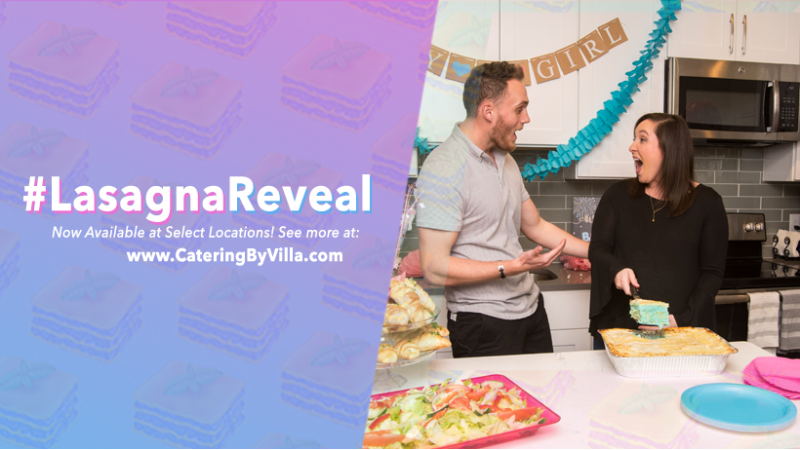 Available now, the Gender Reveal Lasagna Catering Package features one cheese lasagna with a secret pink or blue interior, a tray of Villa Italian Kitchen’s famed garlic rolls and a choice of either a garden, Caesar or Greek salad for just $139.99. 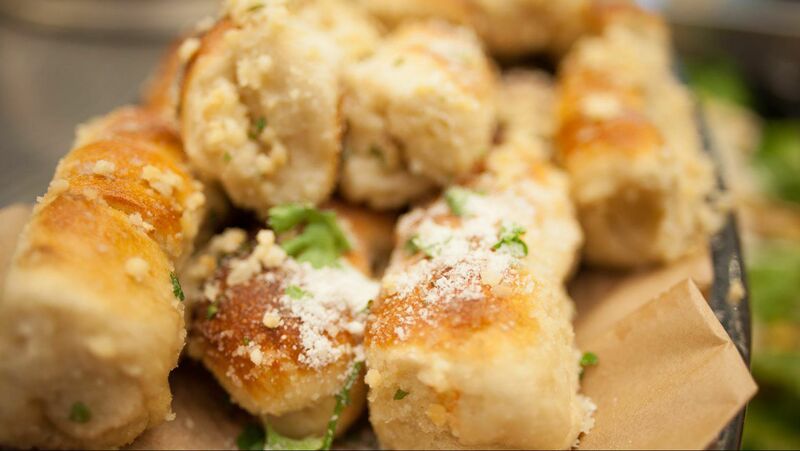 We are excited to feature a classic, Spaghetti and Meatballs! 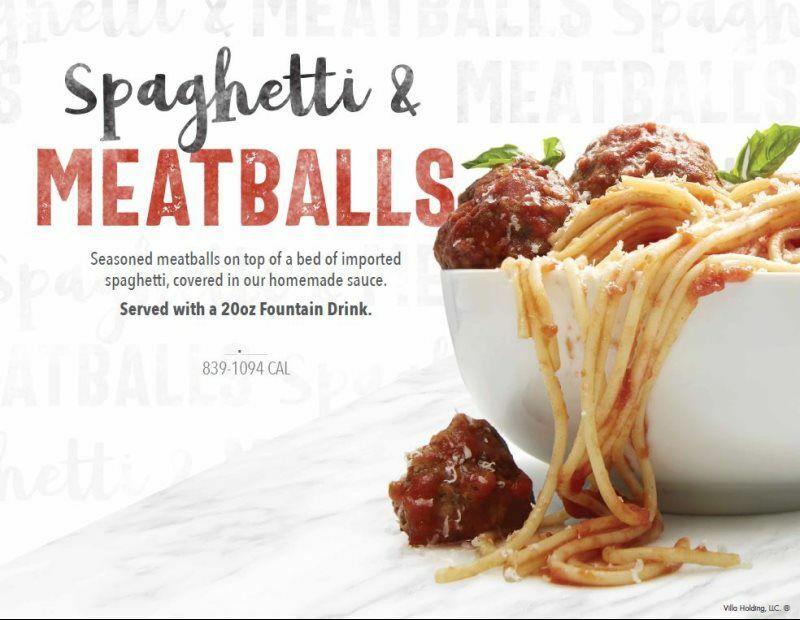 spaghetti, covered in our homemade sauce, served with a 20oz Fountain Drink.